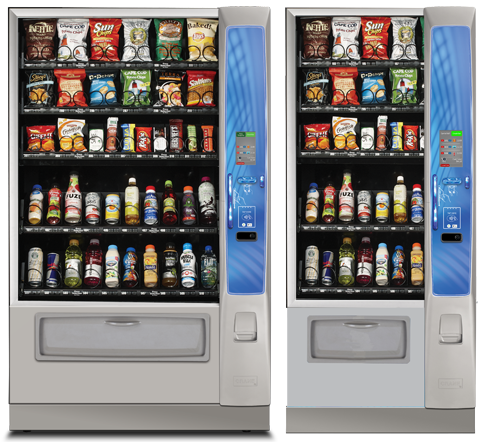 Part Beverage Machine, Part Snack Machine. Total Refreshment! 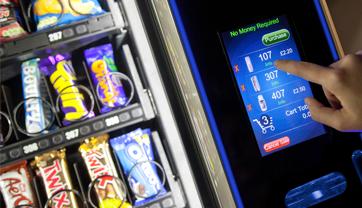 Global Vending offers combination vending machines that allow you to offer snacks and drinks from a single vending machine. 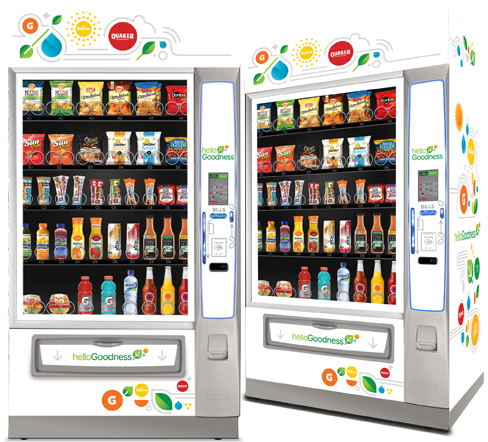 Our combo vending machines are able to vend a wide variety of products such as chips, candies, crackers, pastries, canned beverages, bottled drinks and healthy choices, all from a single combination vending machine that caters to hungry and thirsty people who only want to make a single stop. 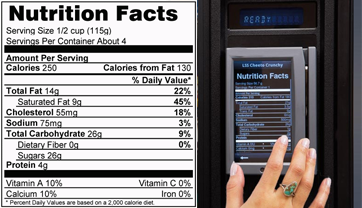 Combo vending machines are a great space-saving alternative which provide the benefits of snack vending plus soda vending in one machine - that also means the size of one vending machine - not two. This means more room for other important space or equipment that your location needs. 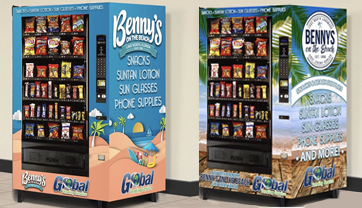 Global Vending's combo vending machines are available in many different styles and sizes, ranging from the small models that save space and energy while still offering 12 snack choices and 6 drink selections, to the large machines that offer 45 snack and soda choices - great variety in a smaller footprint! 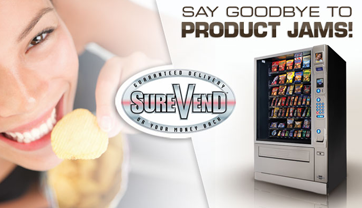 Global Vending's premier combination vending machine line. 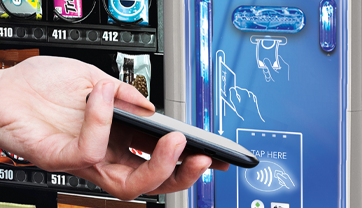 At Global Vending, we want our machines to enrich your environment and provide a practical service at the same time. 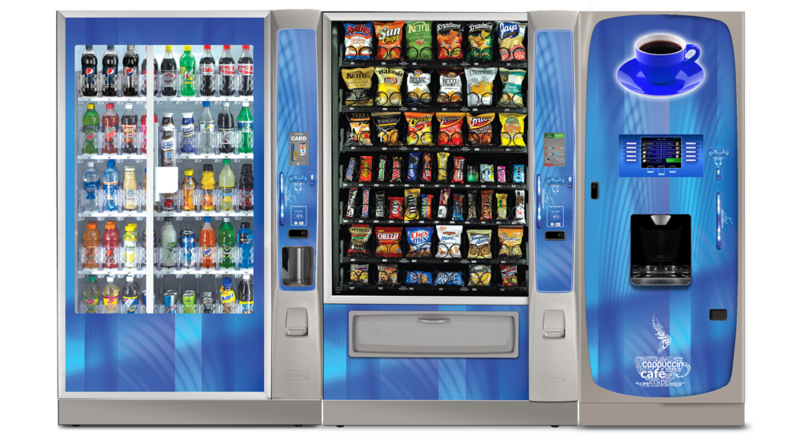 Our combination vending machines are perfect for schools, offices, medical centers, and limited space locations; with mutliple product configurations and can be customized to match your place of business. 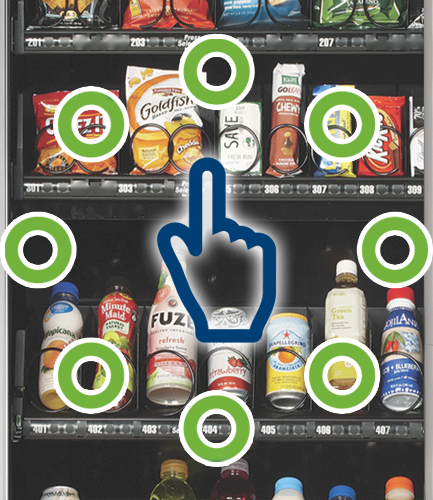 Turn vending around with our most popular combination fresh food and beverage merchandiser! 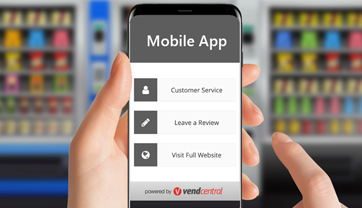 The high-visibility Shopper lets patrons buys with their eyes. 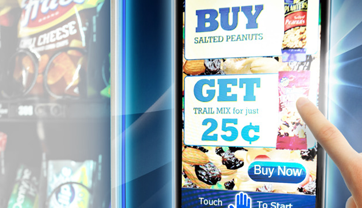 Each shelf allows for full product view and the "Prefer Max" technology automatically returns the drum to the view with the most products for sale. 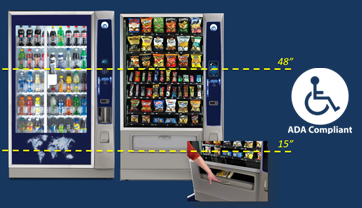 Depending on the selected configuration, you can offer anywhere from 45 to 225 items in one machine! 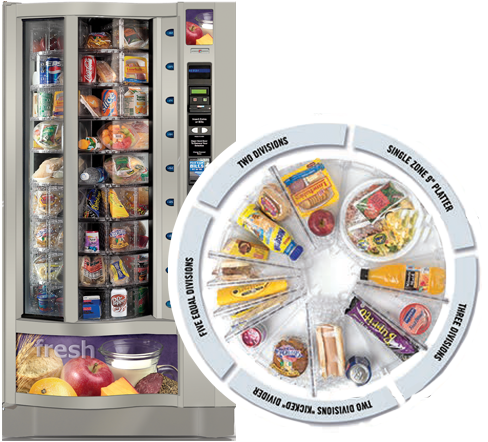 The Shopper can handle up to 9" platters in a single compartment or add dividers to build your own fresh food "combos" for your staff and students. 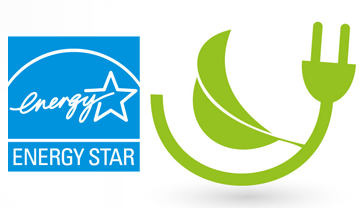 It's truly a machine of unprecedented merchandising versatility with superior refrigeration performance.